Alaska needs to do right by Charles Sumner. It is not too much to say that without the brilliant and dedicated Senator from Massachusetts, Alaska would not be part of the United States, though it’s difficult to say what its fate might otherwise have been. typical of his character. The Massachusetts Senator, who had nearly been killed when attacked on the Senate floor in 1858 after an especially fiery abolitionist speech, set about to learn everything he could about Russian America. He had his aides bring to him everything in Washington D.C written about it. He was fluent in French, German, Italian and several other languages, so could read reports in those languages, and he had the Russian material translated for him. And there was plenty of material. There had been over sixty Russian voyages to North America between 1741 and 1867, and many of them carried scientists from various nations; most had published extensive reports. Sumner read it all. 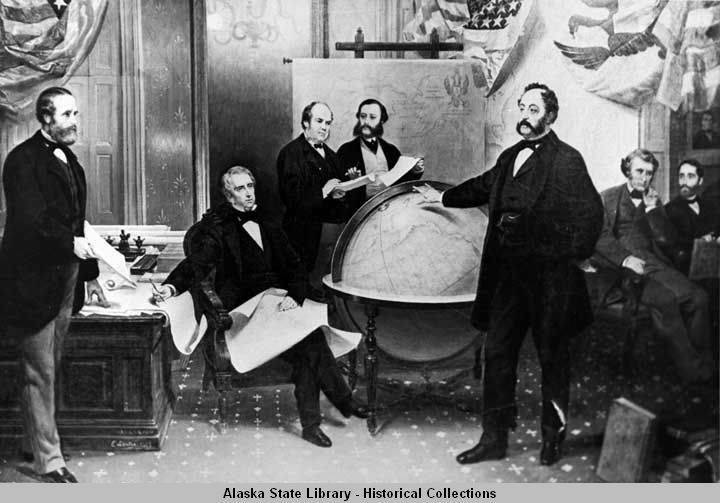 There was no question of Sumner’s agreement with Seward that Alaska would be important for American trade with Asia, Seward’s principal motivation for acquiring Alaska. Alaska would be a significant site for coaling, watering and reprovisioning stations for American trade ships plying the North Pacific. But Sumner was keen that acquisition of Alaska would bring democratic institutions to another part of the continent, and at the same time would preserve the area from subjugation by an authoritarian government. He had hopes for the acquisition of British Columbia for the same reason. As he read the various reports on Russian America, Sumner became convinced that it had benefit to the U.S. on its own merit. He was impressed with the potential value of the fisheries, natural enough for a New Englander, and he imagined mineral resources would be discovered which would be valuable to the country, not least among them, coal. He thought the region’s forests would yield important resources, including naval stores (pitch, resin, masts). Sumner thought agriculture might be possible as well. Persuaded of Alaska’s value to the U.S. on all these counts, Sumner convinced his committee to make a “do pass” recommendation to the full Senate. Had he not himself become supportive of the treaty, it would not have passed out of his committee, for the occasions on which a committee overrides the wishes of its chair were, and are, rare. In early April 1867, On the Senate floor where haste was important since the body was soon to adjourn, the first order of business was a motion to take up the matter. Some Senators wanted more time to study the issue, but the motion passed 26-12, indicating that there were enough votes to make the required two-thirds votes for ratification. Sumner then gave a three-hour, extemporaneous speech in favor of the treaty, extolling its value to the U.S. and its potential for development. Shortly thereafter the Senate approved the Alaska Treaty of Cession by a vote of 37-2, a tally which ought long ago to have dispelled the notion that the purchase of Alaska was unpopular. 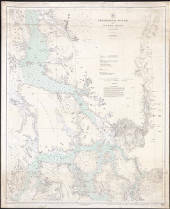 Alaska has Sumner Creek, Sumner Island, the Sumner Mountains, and Sumner Strait. These place names are hardly sufficient to acknowledge and honor Sumner’s contribution to Alaska and its acquisition. It’s time for an organized effort to give the Senator his due. Donald, David. Charles Sumner and the Coming of the Civil War. 1960. Reprint. Norwalk, CT: Easton Press, 1987. Donald, David. 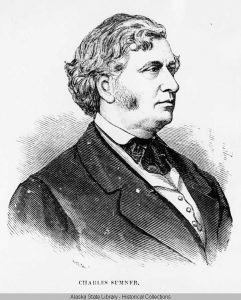 Charles Sumner and the Rights of Man. New York: Alfred A. Knopf, 1970. Foner, Eric. Reconstruction: America’s Unfinished Revolution, 1863-1877. New York: Harper Collins, 1988. McFeely, William S. Grant: A Biography. New York: W.W. Norton, 1981. Puleo, Stephen. The Caning. Chicago: Westholme Yardley, 2013. US Senate Art & History. “April 8, 1867: Charles Sumner’s Alaskan Project.” Accessed August 7, 2017. https://www.senate.gov/artandhistory/history/minute/Sumners_Alaskan_Project.htm. Steve Haycox is Distinguished Emeritus Professor of History, University of Alaska Anchorage. He still teaches and writes about Alaska history.